The Music Ministries of First Presbyterian Church has a tradition and history of excellence. The music program includes choirs for children, youth and adults as well as a concert series. Our magnificent Ruffatti pipe organ leads the congregational singing each Sunday morning creating an inspirational worship experience. There is a place for you in our music program and I hope you will take the time to look at all the opportunities available. The Chancel Choir sings for the worship services each Sunday as well as special services and concerts throughout the year. This group is not auditioned, however, music reading ability is encouraged as the music can be quite challenging. The choir is also supported by a professional quartet. During season, rehearsals are held each Wednesday evening from 7:00 p.m. – 8:30 p.m. in the choir room. During the summer, rehearsals are on Sunday morning at 8:45 a.m. If you are interested in joining the choir, contact Dr. Brice Gerlach, Director of Music Ministries, at 239.262.1311 ext.239 or email at briceg@fpcnaples.org. The Festival Ringers is an advanced handbell choir for adult ringers. Rehearsals are held on Mondays from 10–11 a.m. seasonally, in the Bell Room. Join us each Lenten season where the spectacular Ruffatti pipe organ is featured in six Lenten organ recitals offered by our Director of Music, Brice Gerlach. In these informal concerts Brice takes the time to explain some of the mechanical workings of the organ and offers some musical insights about the pieces on the program. Each concert opens with a piece that highlights the magnificent horizontal trumpets protruding from the front of the organ case. 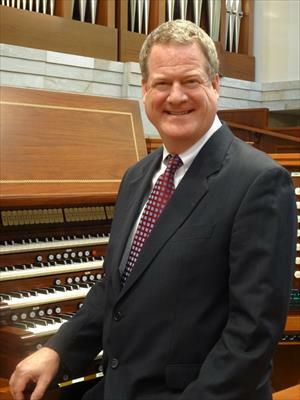 A work by J. S. Bach is always featured and arrangements of Lenten hymn tunes are presented, allowing for some of the diverse solo stops and softer sounds of the organ to be heard. The concerts will end with a rousing toccata, allowing the audience to hear the full power of the organ. After the recital, the audience is invited up to the console to ask questions and to see the beautiful woodwork and craftsmanship of the Ruffatti. Tours of the pipe chambers are also offered each week. Come hear beautiful organ music during Lent. Don't miss these special opportunities for personal reflection, meditation, and celebration of this holy season.